Ryan Barlow, e4's Chief Technology Officer. The rapid growth of the connected world has resulted in the development of several forward-thinking SAAS solutions aimed at a successfully connecting with a customer online. The premise of many of these solutions is to ensure customers have a safe, secure and effective mechanism to better serve their digital footprint and presence. One such solution recently launched is a business app called Virtual Identity from e4, a Software as a Service company. 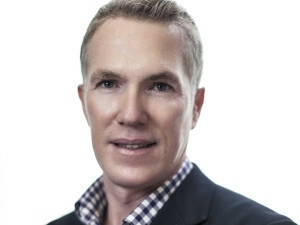 Chief Technology Officer, e4, Ryan Barlow says that the concept of Connect Your Customer (CYC) has driven the market to look at better ways to serve clients within the digital realm: "The concept of a paperless process needs to become a better reality. Understanding the digital space well, e4 has developed a business app that digitally assists clients to complete both FICA and RICA requirements without having to travel anywhere or produce any supporting documentation." Barlow says that the existing processes cause untold administrative frustrations for both the institutions and the client, with both parties facing significant consequences should they fail to comply with either of the Acts: "There was an almost desperate need for a gateway that would assist both parties in the complying with the Act in an easier and digital way, and it is here that Virtual Identity plays an important role." Accessible over the Web or on mobile device Apps (Android & iOS), Virtual Identity enables a client to interact with an institution over a video conferencing link, facilitating a face-to-face discussion. The client is able to supply evidence of their identity and proof of address by taking photos of their original documents and submitting them to the Agent, via the app, for review and approval. Barlow says this is an easy to use solution that assists clients and enables institutions to obtain all required documentation, while also having full audit records of the process: "They not only comply with the Act, but are also able to fulfil all their obligations without a physical meeting, which is a tremendous time-saver for all concerned." In completing the process, Virtual Identity sources data directly from the Deeds Office, Home Affairs and Credit Bureaus to save time in recapturing information. It also uses location services to ascertain where the client is calling from and facial recognition across multiple documents to verify the caller's identity with the supplied documents. Using a common gateway, Virtual Identity will also source electronic documents to obtain proof of address information. Barlow says that all calls are recorded and a summary is created once complete which serves as evidence that FICA has been carried out with the client. "e4 has identified an area where the process can be entirely digital and we are excited to see what this leads to for the market. If we are to embrace the principle of Connect your Customer, then it is imperative to digitise as many processes as possible, Virtual Identity, is just one of the ways and we are excited about its impact on clients and institutions alike," says Barlow. For more information on Virtual Identity, contact e4 on 27 11 731 8238 or robyn@e4.co.za. The end-to-end service offering includes full management support throughout the service lifecycle and is supported by a 24-hour availability policy.